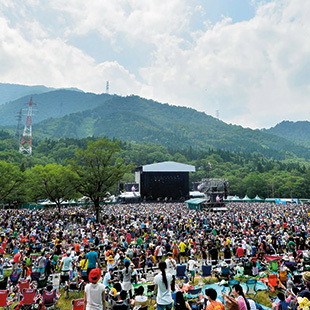 Japan’s marquee rock festivals, Fuji Rock and Summer Sonic, started along similar lines: sprawling outdoor affairs near Mt. Fuji that cater to all visitors. But almost two decades later, they’re radically different creatures. Metropolis lines the two up to see just how distinct they’ve become. Eminem once headlined Smash’s Fuji Rock Festival, but it’s hard to imagine that happening now as Smash boss Masa Hidaka’s preference these days is for stadium-scale rock bands that can bring out a broad demographic. 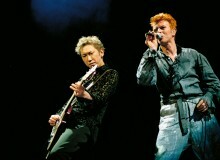 With Japan’s youth population dwindling, the aim is to cater to several generations of music fans. 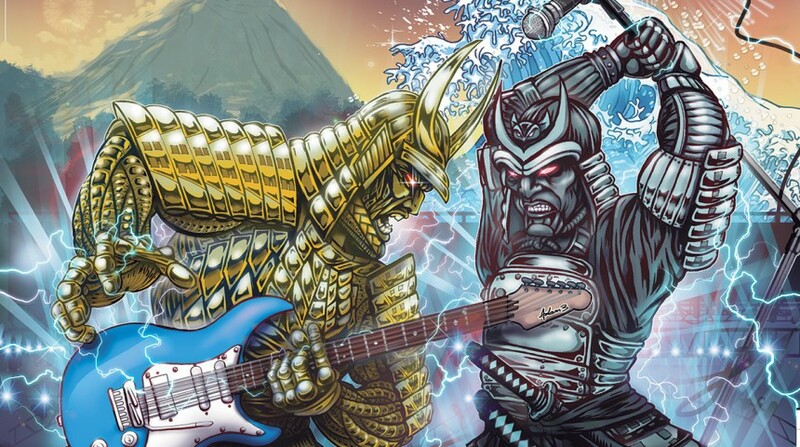 The cost of travel and accommodation for punters attending Fuji is considerable, limiting attendees to settled employees with disposable income and a still-large number of younger folk who scrimp and save for a once-a-year blowout. The big development this year is the end of Fuji Rock’s Orange Court stage. When the festival exploded in its early years, the stage emerged as a locus for world music, funk, blues, and jazz. With audience figures down last year, Smash seems to have made the decision to consolidate—but that still leaves it with thirteen stages. Dave Grohl’s indefatigable rawk machine recently released Sonic Highways, an ambitious “musical map of America” accompanied by an HBO documentary. 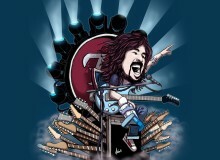 Grohl is always psyched to be in Japan, and can be counted on to crowd surf his way to the soundboard. Pioneering artists, they are not; yet they carry the ’90s alt-rock torch with, at the very least, a sense of dignity. Sure, compared to brother Liam’s now-defunct Beady Eye, they got the songwriting talent out of the Oasis breakup. But how many songs can you name? Time to bone up. Their second and latest album is the self-deprecatingly titled Chasing Yesterday. 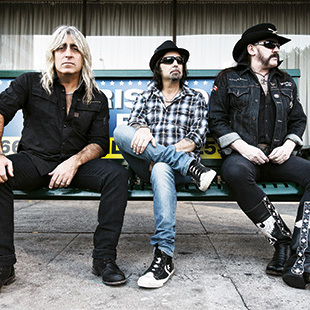 Lemmy’s U.K. metal machine rages on, 40 years since their founding as the pioneers of the “new wave” of British heavy metal. 35 years later, Manchester rave squad has survived its days of Pills ‘n’ Thrills and Bellyaches, an album they plan to haul out on tour later this year. A sinuous British mixed-race Björk for the electro era, FKA’s slithering temptations are not to be denied. Drum ‘n’ bass/rock duo blithely smashes together grunge, rap, and clichés of alt-rock. Think Rage Against the Machine meets Jack White. A less egotistic, more likable and tuneful Stone Roses on the comeback trail. Tween rock, yet consistently imaginative. Incomparable New Orleans funk meets gravel-voiced soul singer for hire. 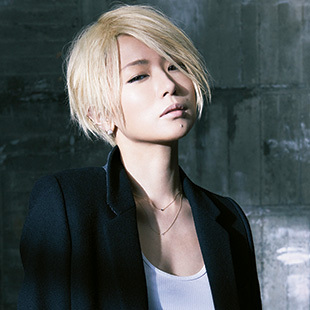 Her thin, wavering vocals are an acquired taste, but the Fukuoka chanteuse’s unwavering ambitions are to be applauded. Candy-voiced outfit blends rock, pop, and electro with sometimes sublime results. Veteran Chicago experimentalist, one-time Sonic Youth member, and longtime Tokyo expat meets his mysterious alter ego. First festival: 1997 event at Fuji Tenjin-yama Ski Resort headlined by the Foo Fighters and Red Hot Chili Peppers was canceled midway due to a typhoon. Creativeman’s first Summer Sonic featured James Brown. 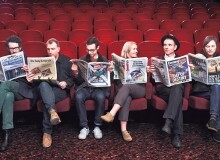 These days, the headliners could be Brown’s grandkids. Creativeman honcho Naoki Shimizu caters to the tween-to-twenties bracket, which still makes up a reasonable fraction of the Tokyo and Osaka megalopolises where he hosts Summer Sonic. 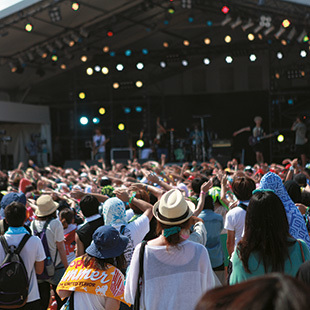 Easily accessible urban venues make for a wallet-friendly day out, but for those who seek the full festival experience, the addition of Friday and Saturday all-nighters effectively makes Summer Sonic a three-day festival. A new development is the integration of Hostess Club—an indie rock fest hosted by promoter and distributor Hostess—into Summer Sonic’s lineup as the Saturday all-nighter. The event features the live edition of Thom Yorke’s latest solo project, the intriguing Thom Yorke Tomorrow’s Modern Boxes, Spiritualized, and more acts associated with Hostess. 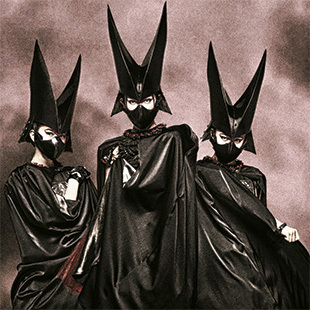 My nine-year-old son’s favorite band, which gives you an idea of Summer Sonic’s target demographic. Hey, half a billion YouTube views don’t lie. 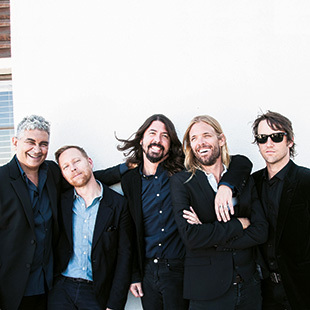 2013’s Rolling Stone Band of the Year. Time for Tokyo to get lucky—or happy? 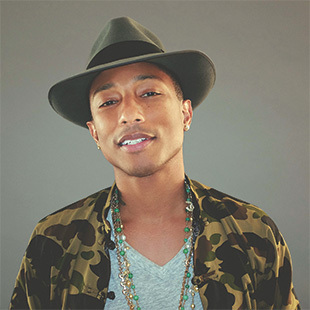 Pharrell has been huge in Japan ever since his Neptune and N.E.R.D. days. He’s also tight with Bathing Ape fashion icon Nigo, making this a homecoming of sorts. With her four-octave range and belief in Kabbalah teachings, Floridian Grande covers all the pop-tart bases from Mariah Carey to Madonna. Her winsome, corporate sponsor-friendly appeal has made her a regular since her first Japan visit on New Year’s, 2013. 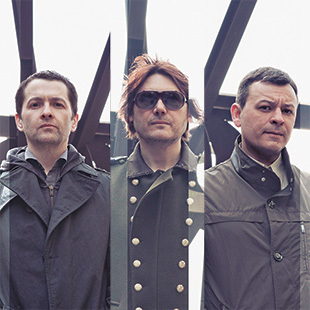 20 years since their definitive album The Holy Bible was released, the Manics round out a year of shows performing the disc. Black Keys et al. owe a major debut to these originators of postmodern skronk-blues, who have just issued Freedom Tower – No Wave Dance Party 2015. Longtime JB associate leads the last band James Brown assembled before his death in 2006. Roger and Larry Troutman may be gone, lost in the murder-suicide carried out by Larry, but the mantle of Zapp’s talkbox ele-funk is carried on by surviving brothers Lester and Terry. Both the James Brown Band and Zapp appear as a collaboration with Billboard Live. Modern soul icon returned last year after 15 years with the highly-rated, socially-conscious Black Messiah. North London quartet are garnering all sorts of accolades, thanks to the delicious, dreamy vocals of Ellie Rowsell. Their debut disc My Love Is Cool will be on the shelves by the time you read this. A lily-white Bobby Brown—and why not? Tom Rowlands and Ed Simons brought stadium-scale electronic music performances to the masses long before EDM—and they’re not slowing down. Born in the Echoes is out in July, and “Go,” featuring Q-Tip, is already racking up views on YouTube. Summer Sonic’s Asian stage offers a rare chance to take in performances by determined young bands from China, Taiwan, and Southeast Asia. Likably crunchy power-pop dashed with hints of electro and post-rock. 27 million views for “Gimme Chocolate! !” means Japan’s latest musical export, the metal-idol act, must be hitting the right notes with someone out there. Old-school singer-songwriter got away with writing a Fukushima protest song and still carries on a mainstream Japanese music career. Tip: To get a seat on the jammed trains on your return to Tokyo, take the train one stop outbound from Makuhari, cross the tracks, and board an inbound train.